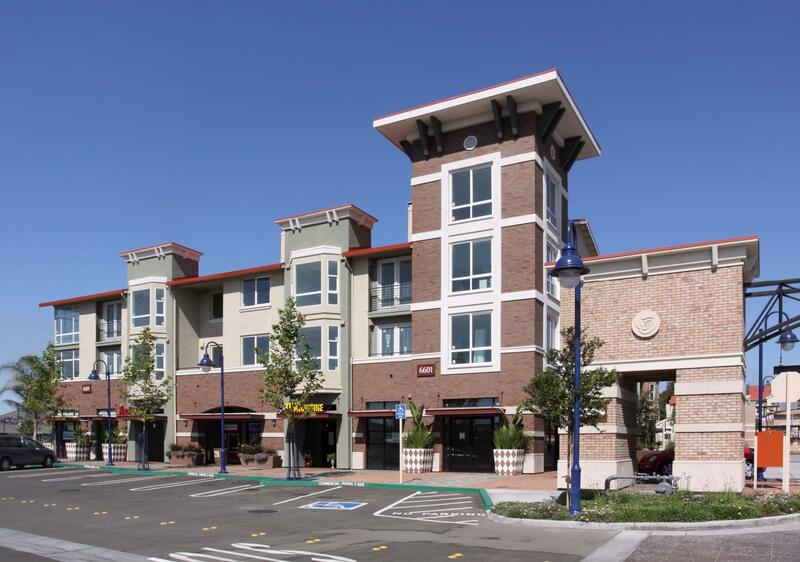 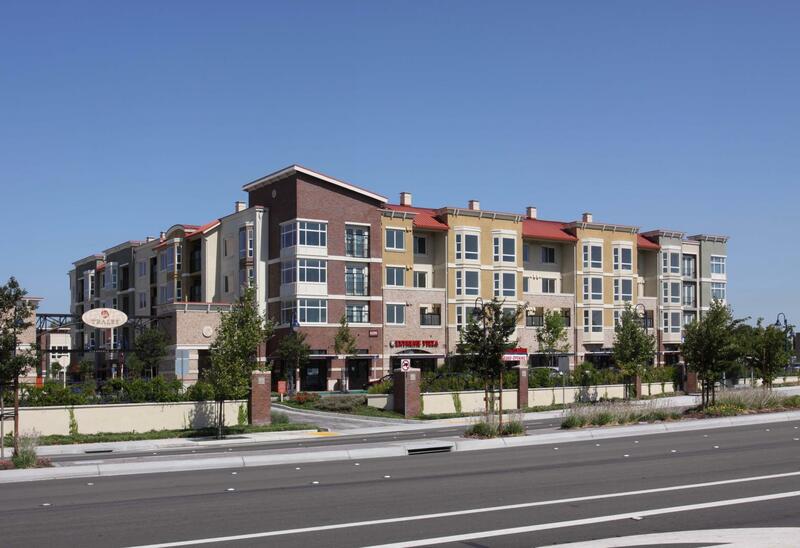 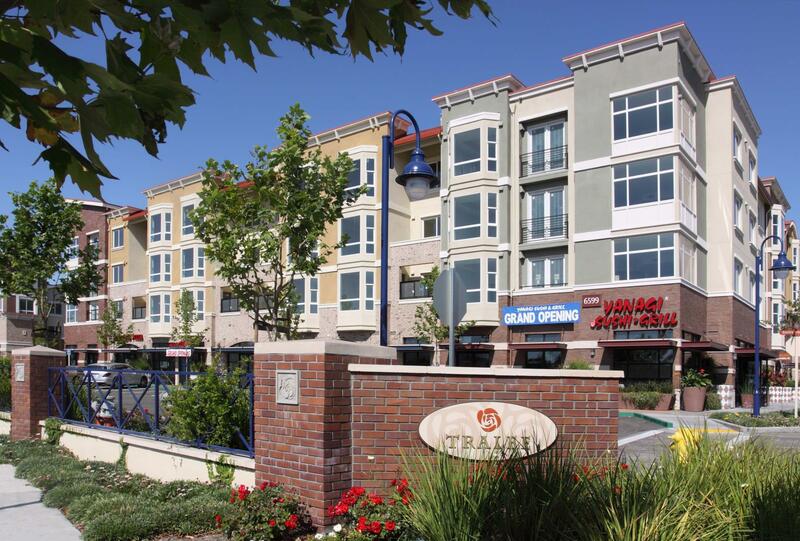 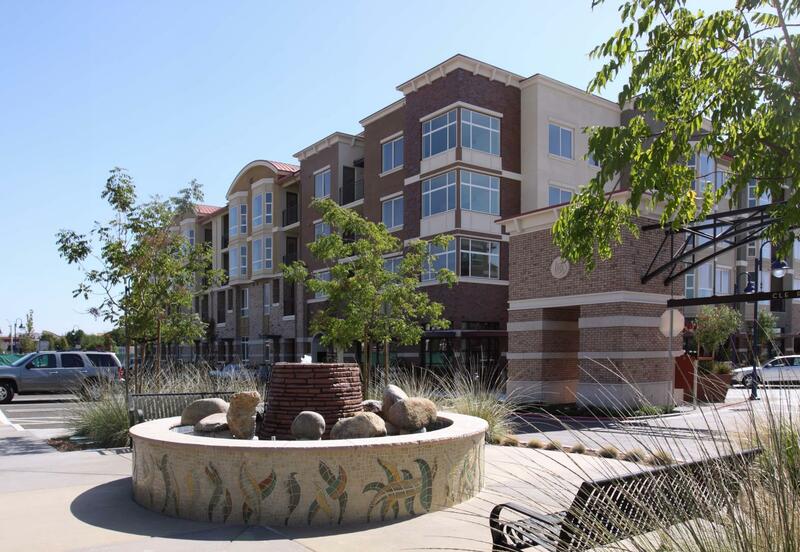 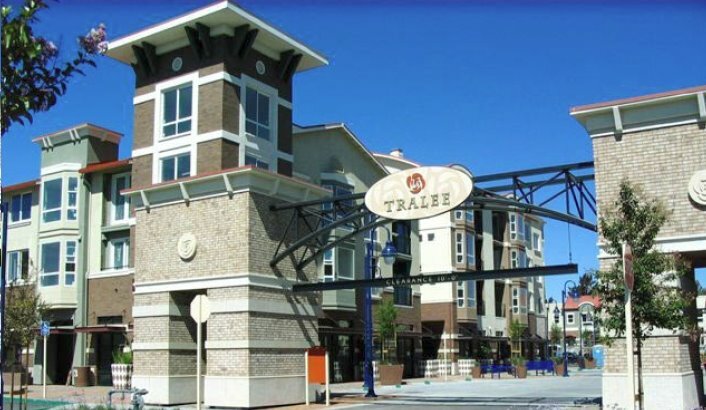 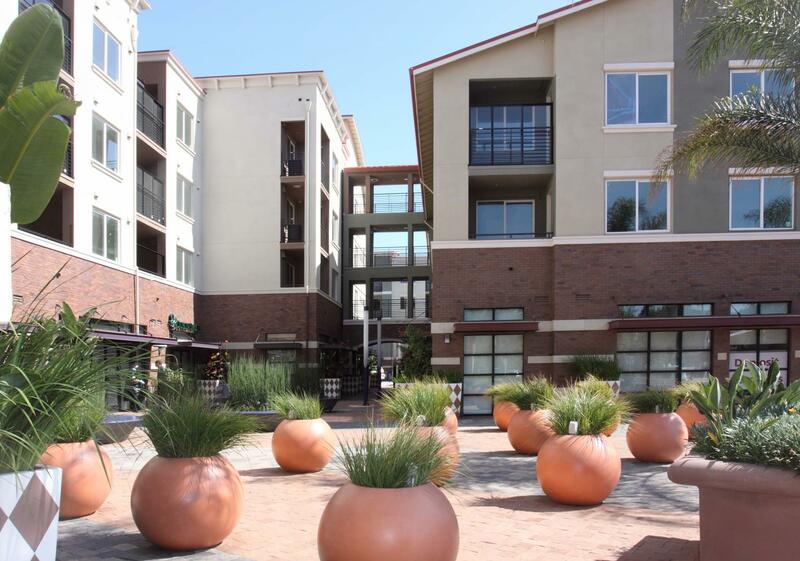 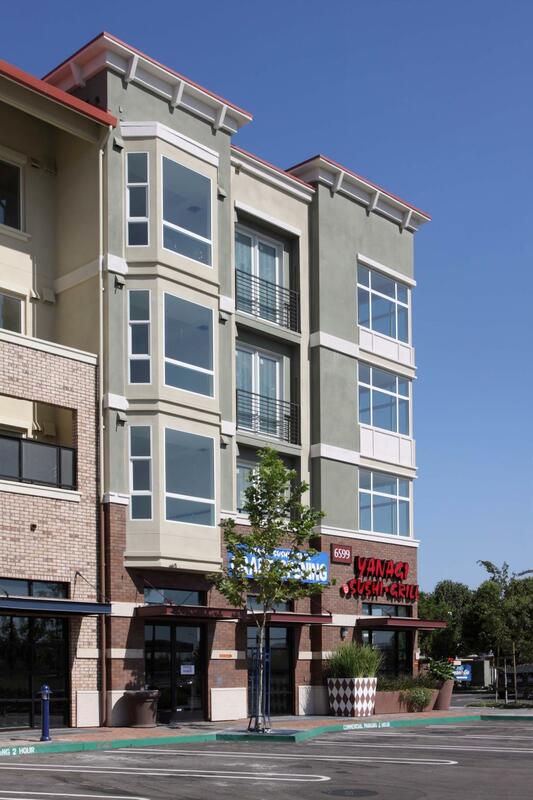 Tralee Village is a 314,000 square foot mixed-use community on 10.3 acres featuring upscale town homes and condominiums, pool and spa complex, restaurants, and retail shops. 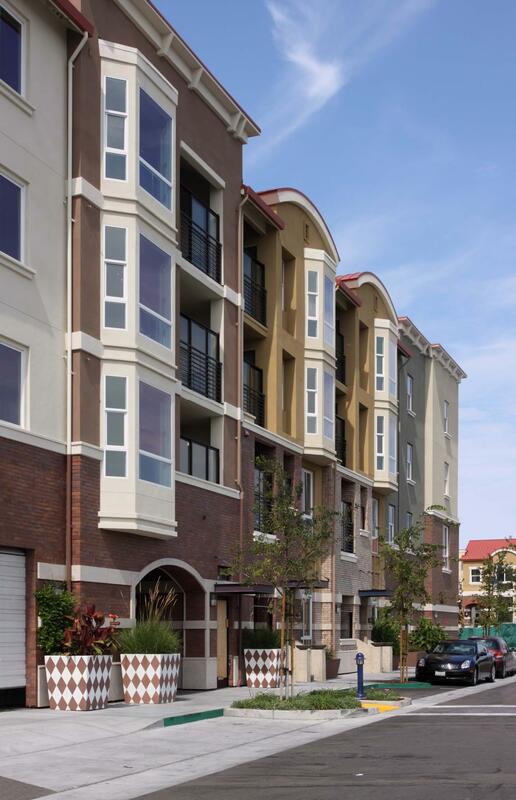 The town homes are 20 3-story buildings on 5.9 acres, 184,000 square feet of residential, with 86,000 square feet of tuck-under parking, including a pool, clubhouse and clock tower. 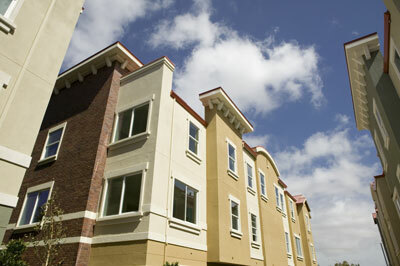 Each town home has split-level first floor, basement crawl-space storage, raised entry porch, and 2-car garage. 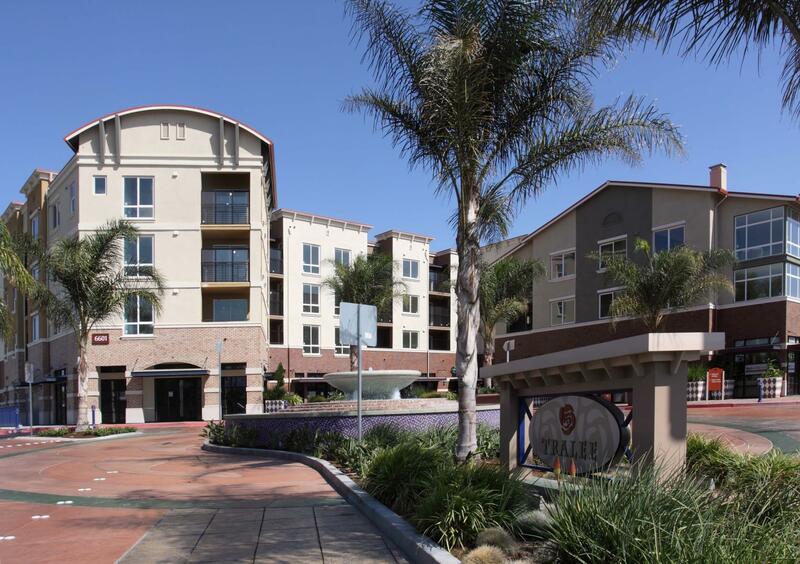 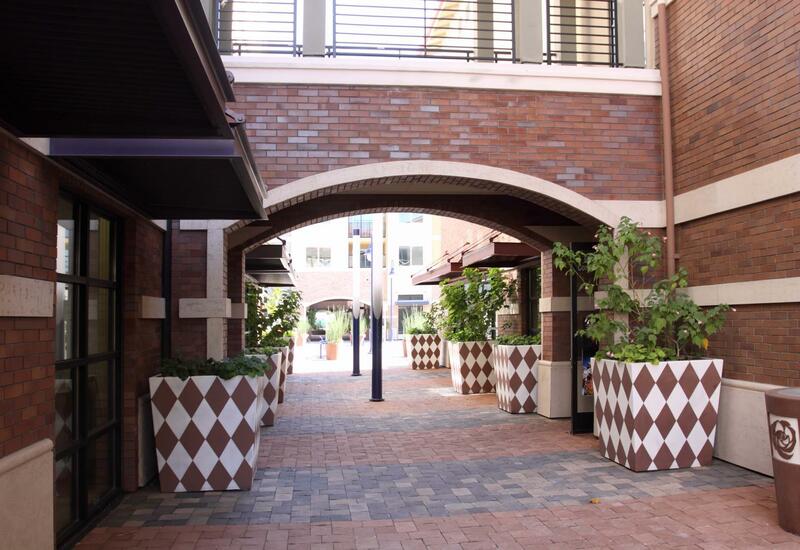 The 130-unit condominium community sits on 4.4 acres. 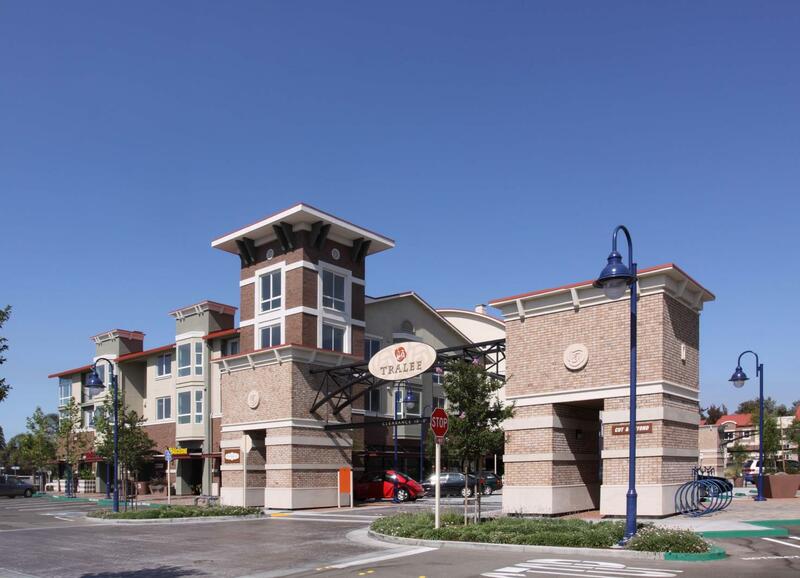 Two 4-story buildings connected by a narrow bridge provide 130,000 square feet for residential, and 75,000 square feet of parking for 236 vehicles. 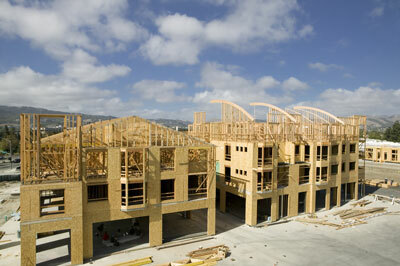 The first floor is steel framing over the concrete parking structure, and the upper floors are framed in wood.